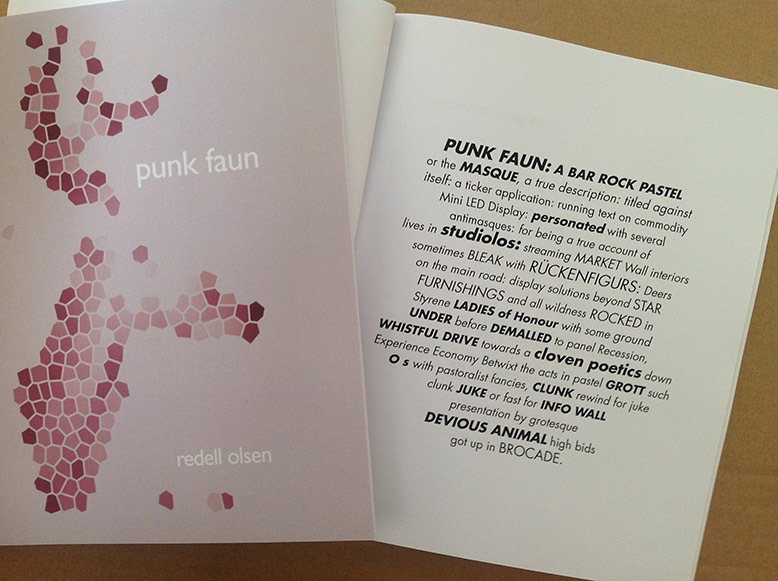 Redell Olsen is a British poet, performance artist and academic. Her work incorporated traditional books alongside images, texts for performance, films, and site specific work. Olsen describes her work as involving avant-garde modernist and contemporary poetics, feminist theory and writing practice, Language Writing, ecology and environmental literatures, and performance. Redell is a Professor in Poetry and Poetics at Royal Holloway, University of London.